Today's theme over at Stacy's is Create. I made a couple of attempts to "create" a few things in photoshop. I wasn't really feeling it this week, but this is what you get. I was going for a more abstract watercolor painting look, but just couldn't get it to look like I wanted it to look. 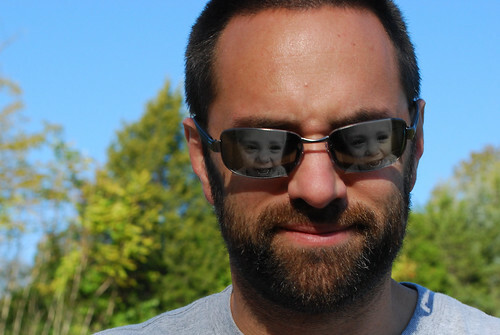 I thought it would be funny to put my son's face in the reflection of my husband's glasses. 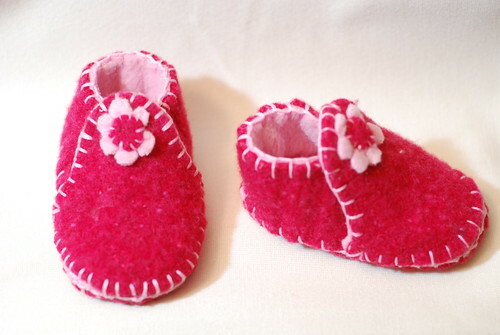 What I have been creating are these cute little shoes made from an old felted wool sweater. I am happy with the way they turned out. Who knows if they will actually fit or stay on? 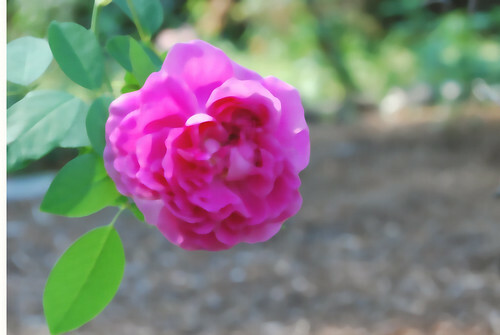 I also created this little banner. It was thrown together, but shows you I have been day dreaming about opening up an Etsy shop. What do you think of the name? If I actually followed through with it, I would sell items made from reclaimed materials. 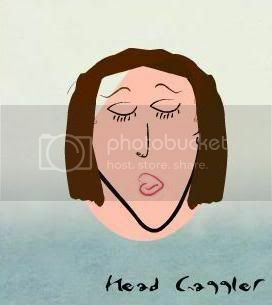 I have tons of ideas running around in my mind. Now I just need to find the time to make some stuff. Check out some more lovely creations over at The Land of K.A. I really love all your creations! That shot with your son in your husbands glasses is so cute! Those little booties are ADORABLE! I love what you are doing with reconning old sweaters and thrift store finds. I love the name you chose, too. love the booties -- so cute! they would be a hit on etsy. definitely love the name -- i hope you open up shop soon :). Love the banner, love the name and LOVE those shoes!!! I think your create wins - hands down this week! I LOVE the sunglasses photo and your banner. And those little shoes are the cutest things ever! The sunglasses are a cool effect. Okay, it's all really cool! The sunglasses, the banner, and I want to know how to do that stitch because I can't remember to save my life. Oh, I love it! Love those shoes just like all your creations, and I LOVE the name! the banner looks great, but I'm envisioning a patchwork theme to work with the theme there! So excited for you - I know it's be a success! Those booties are adorable! I really like the banner too. What did you use to make it? Those are great creations. I love the little booties, great talent there. You did really great with the sunglasses reflection. That was cool. I love the little booties too. You should SO open up an Etsy shop. You do so well with that stuff. The banner and name are great too. Great pics. I love the banner. You totally need to get that shop up. That banner is great and I LOVE the name. I totally need some cute little felt goodies for my cousin's new baby. I'd gladly link you up on my blog when you get started! The shot of your husband with Miller face in the glasses is awesome. How did you do that??? ?